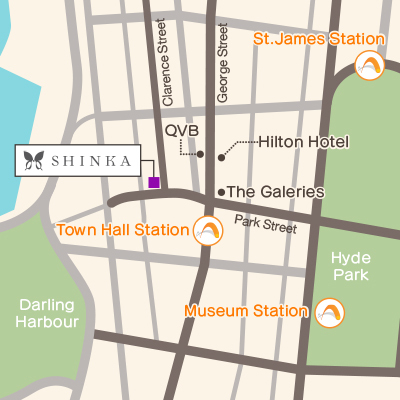 SHINKA opened its door in December 2009 on the grand floor of the heritage building, only a minute away from Town Hall station. With a historical appearance and a modern antique design, SHINKA offers a relaxing atmosphere with plenty of space to enjoy your time away from the busy everyday life. Fine quality service is our number one priority, providing the best hospitality and importing the most advanced Japanese products for all our customers. 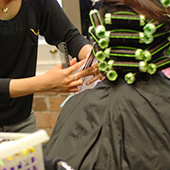 Our stylists are all Japanese and have experience working in Japan. We are proud of the customer service we provide here and we are sure you can count on them to create your new look. 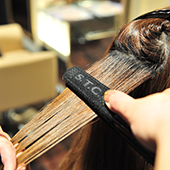 Using Japanese chemicals and heat, the Japanese Straightening creates a natural straight look. We can minimise the damage to your hair with this straightening method, finishing with a shiny and smooth touch. While the normal perm creates strong small curls, the digital perm creates natural looking curls with a bouncy finish. It normally lasts longer than the normal perm too. We have both Japanese and European hair colours on site. 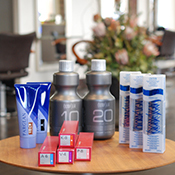 We are all more than happy to help you choose the colour you want or recommend a colour that will suit you. 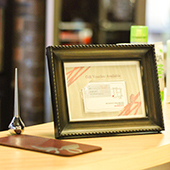 We have gift vouchers available here at our store for the perfect gift for someone special. Please feel free to ask us about it in detail.